Exile was finished shortly after End of Entropy. Before the EP was released, guitars and additional keys were added to the final mix. Greg (guitars) and Matt (keys) were also added to the live show and this EP was the primary live source material until 2000. 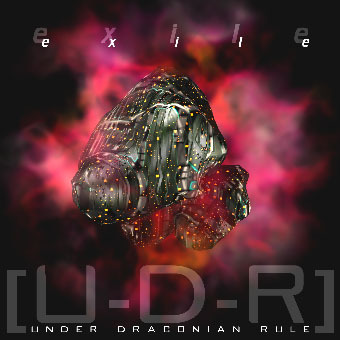 Continuing in the style of End of Entropy, the musical styles branched out a bit and with the addition of guitars, [U-D-R] took on a somewhat different sound.